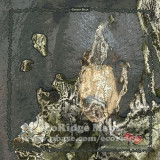 Our newest maps pair a photograph that may represent an area with a map created by us. 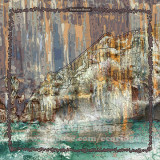 The photo is deconstructed in Adobe Illustrator then recreated via relief map layers in professional mapping software (ArcGIS), thus becoming a map. 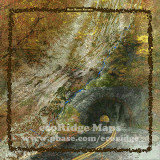 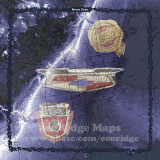 Roads, satellite imagery, topographic maps, and/or other maps are layered in Photoshop. 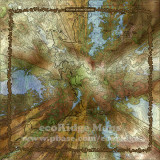 Many maps are created with 50+ layers to create the final product.